From aviation students competing in a women’s air race to saving wild tigers in India, there is something for everyone on this year’s Tiger Giving Day. 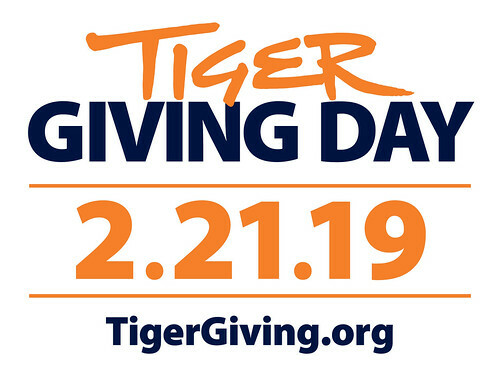 On Feb. 21, Auburn University will continue the annual tradition of matching compelling, grass-roots initiatives with donors around the world at TigerGiving.org. The 24-hour, university-wide funding effort features multiple projects from a variety of colleges, schools and units. Among the exciting offerings on Tiger Giving Day this year is a project benefiting aviation students competing in a women’s 2,400-mile air race. With the support of the Auburn Family, two teams will race in the 43rd Annual Air Race Classic in June. The Tiger University Consortium project champions the cause of wild tiger preservation. Clemson University, Louisiana State University and the University of Missouri—all land-grant universities with expertise in conservation—are collaborating with Auburn to save wild tigers. Funds raised from this Tiger Giving Day initiative will support graduate student research at Auburn benefiting wild tigers around the world. Another innovative project features Auburn’s Bee Lab, which was established to address the declining honey bee population in recent years. Honey bees are integral to growing the foods we eat. They pollinate many food crops and produce honey and wax products, which are increasing in demand as consumers seek more natural and locally grown goods. Other projects include solar-powered charging tables around the Student Center, training equipment for Auburn’s Wheelchair Basketball team, transportation for schoolchildren to attend performances at the new Gogue Performing Arts Center, and many more. Each project is different, but they all have one thing in common—their success depends on support from Auburn alumni, friends, faculty, students and community members. Donors can support as many projects as they choose before the clock strikes midnight on Tiger Giving Day. TigerGiving.org will feature the full selection of projects on Feb. 21 and donors will be able to see real-time updates about each project and the collective impact of their giving. The official hashtag for the day is #TigerGivingDay. Since the first Tiger Giving Day in 2015, more than 5,000 donors have made gifts to support nearly 60 projects.